The Moto Guzzi California series motorcycle was featured in Motorcyclist magazine March 2011 issue in their “Smart Money” column. 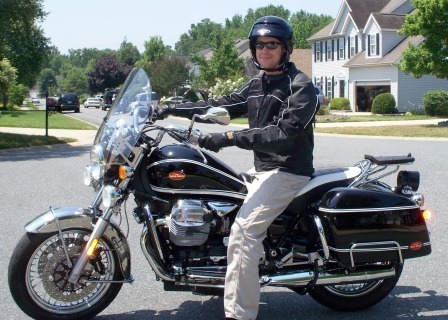 Written by Ed Milich, this one page article discusses model years 1982-2008 as a recommended choice for a good used motorcycle. The same issue has a short article saying that Moto Guzzi is working on a new liquid-cooled engine for 2013 that they say will power a new Moto Guzzi LeMans. That same engine appears to be in the new California 1400 that was shown at a recent Piaggio dealers meeting. The article provides some basic info about the Moto Guzzi California to those unfamiliar with the brand that are looking for a good type of used motorcycle. He mentions a few of the popular Guzzi specialists in the USA including Moto Guzzi Classics in California, MG Cycle in Wisconsin, and MPH Cycles in Texas. Agostini in Italy also was mentioned as a go-to parts supplier for hard-to-find parts. I am a subscriber to Motorcyclist and personally look forward to reading their Smart Money column every month. I find it is a fun way to look back at certain motorcycles. Some they show are odd, but others are as common as can be. These bikes all earned their “Smart Money” title the hard way. Many get there though years of proving themselves and having a solid reputation. Not all are perfect though, including the Moto Guzzi California. Some of the imperfections the Ed mentions to watch for are hydraulic lifter issues and single plate clutch issues. Also mentioned are loose u-joints. Yes, those were problems on certain model years in the past. The other thing on the watch list is the high mileage Moto Guzzi California, a feat these motorcycles have become famous for accomplishing for their owners. Hats-off to Ed for his entertaining article about ’82-’08 Calis! 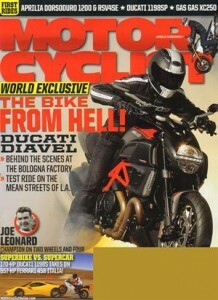 It’s great to see the Moto Guzzi California get some respect in this popular motorcycle magazine that often makes me wonder if Ducati owns the publishing company. Not that there’s anything wrong with that, I like Ducatis too, but just not as much as some folks apparently. The bikes listed along side the article as “Also Smart” were some unusual choices to group with the Cali, especially the Bimota Mantra. Maybe because the Mantra has a Ducati engine. Actually, I felt the entire page in Motorcyclist had a sort of freak-show of motorcycles feel to it. I was glad our beloved Moto Guzzi was in it anyway. By the way, if you are looking for a Moto Guzzi California motorcycle for sale, I started another site called MotoGuzziForSale.com and would be happy to post your Guzzi on there if you are trying to sell yours. Visit that site for more info.